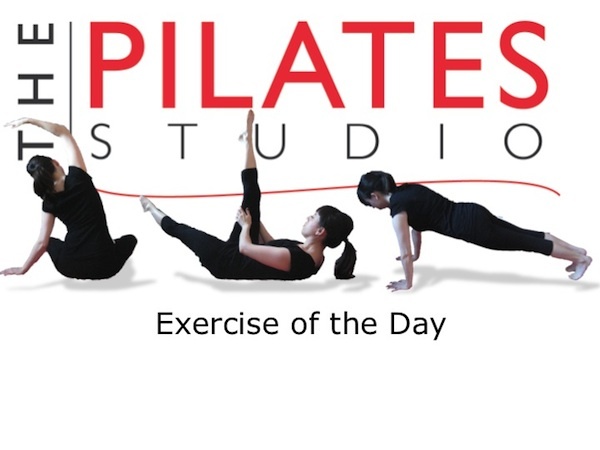 This exercise combines many elements of the side kick series for a dynamic and controlled movement experience. To do this exercise you will need a mat and a soft ball. Start by lying on your side with the soft ball under your bottom hip. Inhale into the back of your ribcage as you kick the top leg forward and then exhale as you lift the top leg higher into the air and move it back behind you. Inhale again as you kick the leg forward and repeat the circle 8-10 times in both directions. 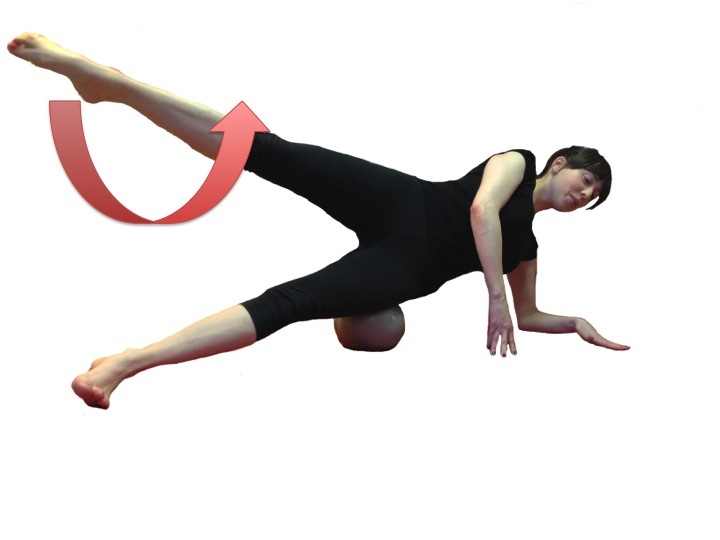 This is an incredibly dynamic activity because you are moving the thigh in multiple planes of motion and also maintaining the connection of the ribcage to the pelvis while wobbling on a ball. Yowser! Be sure to maintain the length in your spine. As you feel the wobbles allow the same cues for axial length to come to your aid. To progress this exercise even further feel free to suspend your spine in the air by propping yourself up an your elbow.